Beautiful house in front the sea. 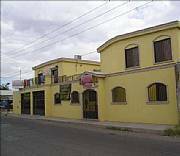 Masonry house, 2 floors, 4 dormitóries being 4 suítes with 1 hidro, living, room of TV, room of supper, washbasin, pantry, kitchen, area of service, 5 bwc, washbasin, office, barbacue, 5 vacant of garages, swimming pool, yard, garden, balcony, inlaid closets, street sidewalk, next bus, floor porcelanato, stairs in travertino. The mansion is situated in Armenia,Yerevan. Caye Winds is a community of 21 luxury mansions on 10 acres of the most beautiful land in the Caribbean. In addition to its 1,000+ feet of ocean frontage and white sand beaches, Caye Winds boasts its own private lake. Three designs packages are on offer- each with some of the most luxurious features and most captivating views you will find. This Honduras Coast Property Estate is more than you could ever imagine. Dreaming of a tropical retreat, secluded beach front, vacation property, retirement, or an investment, Real Estate in Honduras is very reasonbly priced for the value received. This gorgeous luxury residence has what it takes to turn heads. No expense was spared in the design and decor of this grand residence as evident by the meticulous attention to every detail that is evident throughout, from the carefully landscaped gardens, to the stone and glass wine cellar, home cinema, and artistic staircases and light fixtures that make this fabulous castle a real home. Beautiful mansion in Hermosillo, Sonora, Mexico, 4 hours south of Tucson, Arizona. This house is perfect retreat or home for a musician or music producer as it has recording studios built in the house. Built in 2004, the house was only used for a year. I have recently moved to Denver, Colorado and no longer will be living in Hermosillo. Live In Cozumel In Grand Style! This beautiful home is a true Mexican hacienda, and it is located just 3 blocks from the waterfront in San Miguel, and the same distance from the supermarket. A five minute cab ride or a ten minute walk will put you in the town square where all the action is. The hacienda complex is surrounded by a 3.25 meter (10. This magnificent Beach Home with adjacent 3 Bedroom 2 Bath guest home is located on the most pristine beach in Puerto Penasco. Homes sit on the Beach with addtional 238 m2 land for development. Magnificent Beach Residence , Unique ! La Picuda, perched high on a hilltop sotheast oh Tangolunda Bay, one of Huatulcoâ€™s nine bays, this magnificent beach residence was designed and built by the mexican arquitech Carlos Herrera, who conceived for the Project a triangular patio and piramidal waterfall amid palm trees. Marble and wood were incorporated into the restful decor of the houseâ€™s four spacious bedrooms. Excelent ubication, from two blocks of the new and bigest mall in town, a security zone, 10 minutes from the beach and 1 hour and 45 minutes from Cabo San Lucas. Unique 1927 French Style 'Petit Hotel' mansion featuring 4 stories of original furniture and construction from France. It is located in the most elegant residential neighborhood of the city. It features a private elevator. Mansion on exclusive gated community on Buenos Aires Province; 30 minutes from Downtown Buenos Aires. House features 4 Master Bedrooms with a total of 7 Bathrooms with Italian marble "Botichino". It also has galleries, Barbecue area and dining area featuring "Travertino" marble. Unique mansion in one of Argentina's most historical towns. The property may easily be converted to a "chateau" as a business. The house features 5 berooms (all master bedrooms with private baths), huge foyer with charming fireplace, wrap-around balconies featuring amazing mountain and city views. The home is fully upgraded with marble and wood floors and vitraux windows. Wonderfull 450m2 Mansion At BÃºziosÂ´s Best Condominium. One of a kind 450m2 mansion located at BÃºziosÂ´s best condominium. 10m away from the charming Manguinhos beach, great for the practice of windsurf and kitesurf . With BÃºzios best style, this house features 10 bedrooms, 11 bathrooms. Very well done construction. The unique arquitecture, makes the house cosy, warming, perfect to live or spend vacation. Beautiful 2-story house projected by architect owner in a great street in Barra. Great living room area, 5 suites and 8 bathroooms. Amenities include pool, jacuzzi, sauna, balconies and gardens in an area of 1000 m2, where 567 m2 makes up the constructed area. Located in one of the most beautiful places in Rio de Janeiro, 1 hour from city, in the hills, this superb 1200 m2 mansion, in a 11000m2 total land area with 04 suites, two more bedrooms, cellar, guest house, 03 living rooms, two fire places, movie room, two pools, gym room, sauna, soccer field, enormous garden. Private community. Trade for properties in USA or EUROPE. Unique mansion in safe gated community, featuring 3 stories of luxury and privacy in one of Rio's nicest neighborhoods. The house features over 1,400 sq. mt. (15,000 SF) of living area with 6 bedrooms (4 with private bathrooms), library, wine storage, and fitness area. Located 80 km from international airport of Salvador and 5 km from the biggest turistic Complex of South America(Marriot, Renaisance, Sofitel, Breezes, Iberostar),you can play golf "18 wholes" tennis, etc.. 20Âº to 35ÂºC all year. A seashore mansion (design by arquitec Helio Pelegrino) with a view of the most beatiful brazilian coast landscape with a 800mts2 built area in plot of 1,700mts2with a garden and and light rooms,confortable living and dining and a home teather. The house has 6 suites with bath all full area with a garden and area with a wonderful oceanview . Beach House waterfront in 1,500 m2 area (20m x 75 m), brick and noble wood (650 m2), with 5 rooms with balcony and bathroom, mezzanine and tv room in the upper level. roof by noble wood. The property is situated on a mountain overlooking the sea with its green islands and the rain forest. 15 minutes from downtown Angra and 150 km southwest of Rio de Janeiro, it is easily accesible both with public transport and private car. Angra offers long distance bus lines and has its own airport. Natural-stone walls surround the property which is divided into three levels. Casalta Is Oceanfront Beach House With A Spetacular Views ! Casalta: Oceanfront House with Spectacular Views! Casalta overlooks the Atlantic Ocean and three different popular beaches in the resort city of Ubatuba. ENJOY A BREATHAKING PANORAMIC VIEW OF SAN ANDRES ISLAND AND THE OCEAN FROM THE CASTLE-LIKE TOWER ON THIS MEDITERRANEAN STYLE MANSION. FOR PHOTOS AND MORE INFO CALL THE AGENT LISTED BELOW. BY APPOINTMENT ONLY. The property consists of house, casita with parking areas, gardens, ponds, pool and recreation areas occupying some 5000 square meters of land. On this level are the entry, main lounge, half bathroom, garden room, four bedrooms and two full bathrooms. Designed some 35 years ago by Alberto Rodriguez Etcheto, one of the most important Argentinean Architects (Los troncos Mar del Plata, Tunquelen Barilocha). Exterior is made of brick and interiors of Brazilian and Paraguayan wood floors. The mansion provides 660 m2 of construction space and a 3,500 m2 private forest made up of pine and eucalyptus trees. Beautiful property with 10 Hectares. PLUS... GET THE CHANCE TO UPGRADE THE SUPERFICIE TO 25 HECTARES.